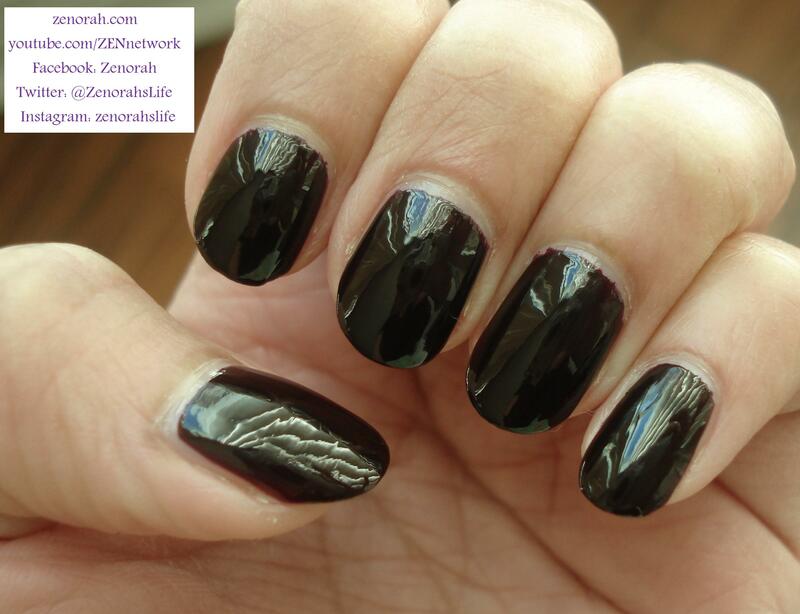 Estee Lauder ‘Black Iris’ – is a gorgeous black cherry glossy creme polish. I kid you not, this is what it looks like ON IT”S OWN (zero top coat!). As far as I know it’s a permanent shade from Estee Lauder and holy mother of **** I am in LOVE with this formula!!! I love the shape of their bottles as well, when they are all lined up together they look so luxurious! It was difficult finding an angle to take pictures with it though but that is the least of my worries with this polish! It required two coats to be opaque, applied like a dream, the brush tip was a bit flatter than most other polishes but never had a problem with application. I could not believe how GLOSSY this polish turned out when it dried!!! LOOK AT IT!! By no means is it a super unique colour but that formula is just on a different planet & level. I did have high expectations of this polish considering the price point ($25 CAD) and it did NOT disappoint at all!! I am definitely going to start buying as much of these polishes as I can in the future – this particular colour is PERFECT for Fall/Winter so I am happy I chose this as my starter Estee Lauder polish (hopefully they all have the same formula). I have never heard of ANYONE in the Nail polish world talk about this brand of polish much – let me be the first to encourage you to try at least ONE of them you will be tripping over your shoe laces, at least I have been the past couple of days!! 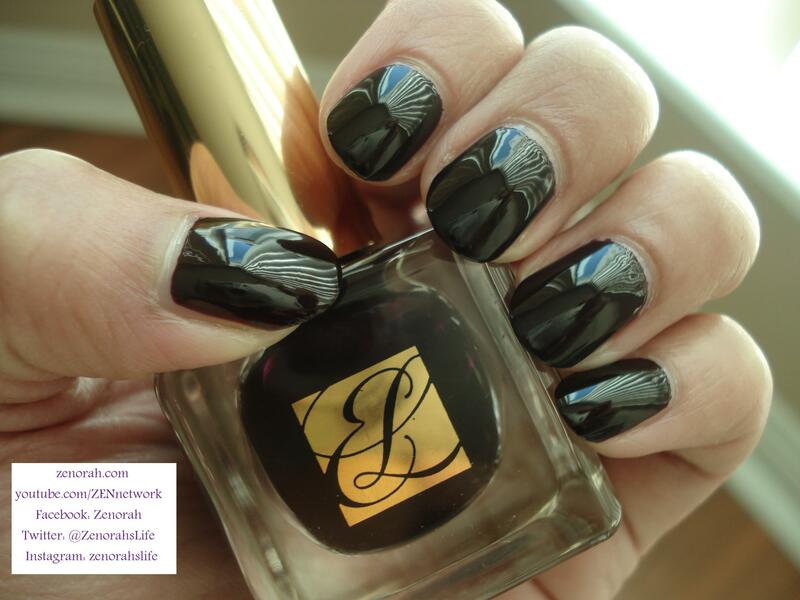 Do you own Estee Lauder ‘Black Iris’? What are your thoughts on this nail polish? Ive never tried estee lauder ! I want to buy more and see if all their formulas are this good! but my goodness I am sooo in love! and i have tried a TON of polishes!! 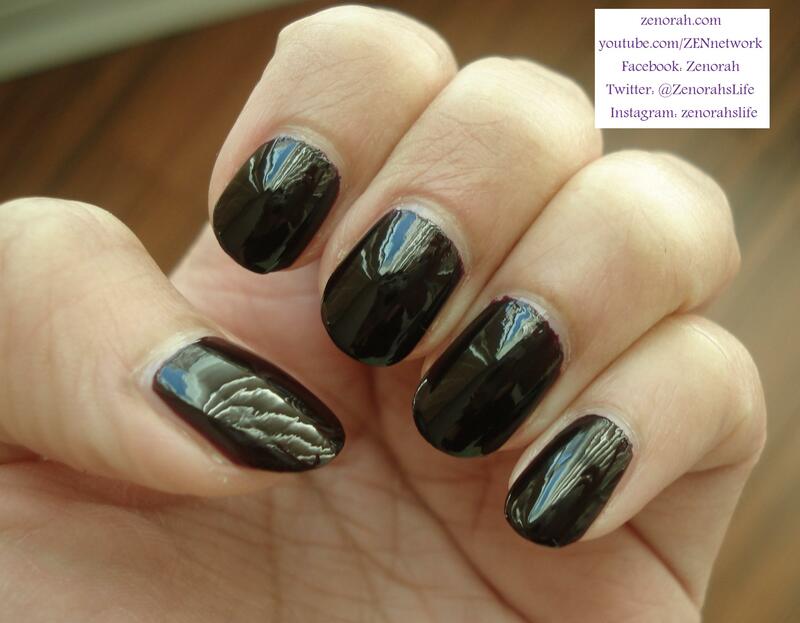 Perfect black polish for nail art! it is so gorgeous! i love it!! omg this is awesome!!! i absolutely love how glossy it is! you know a nail polish is awesome when you can see your reflection in your nails! Does anyone know if this is available in the US? Looks stunning, I want to get some and take it to my manicurist. Hi hun, it should be available in the US for sure! in fact you guys might have a larger range of nail polish colours available to you!